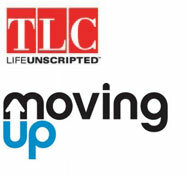 Topaz Design Group has completed the backyard renovation of a home that was filmed for an episode of the hit show, “Moving Up” on TLC. The episode was titled, “One brick at a time” and was aired on October 18, 2009. Please check back to see the video clip of this episode, in the meantime, take a look at the photos below to see the transformation! We have etched our signature designs & exceptional reputation throughout Long Island.